Gridline every 10px, w/10 subdivisions. Icons are based on a 10×10 grid. I made the color black so they’re easy to see. 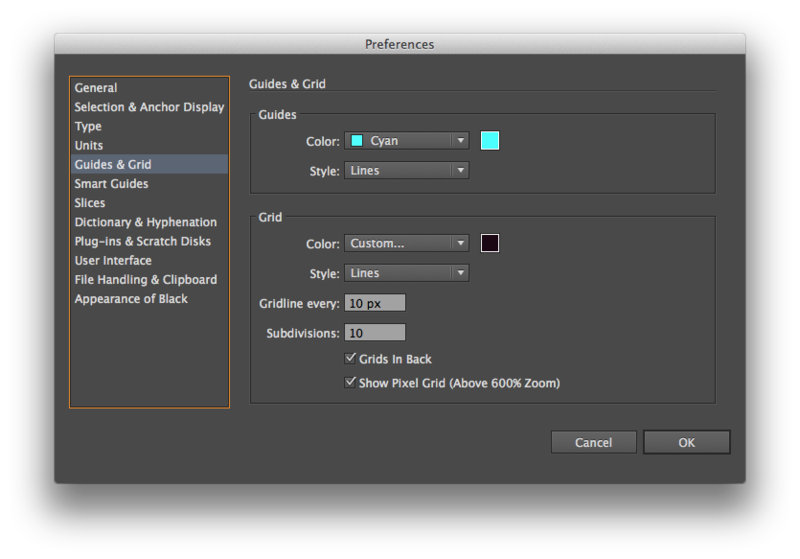 Make sure snap to grid and snap to point are turned on, and that you can see the grid. 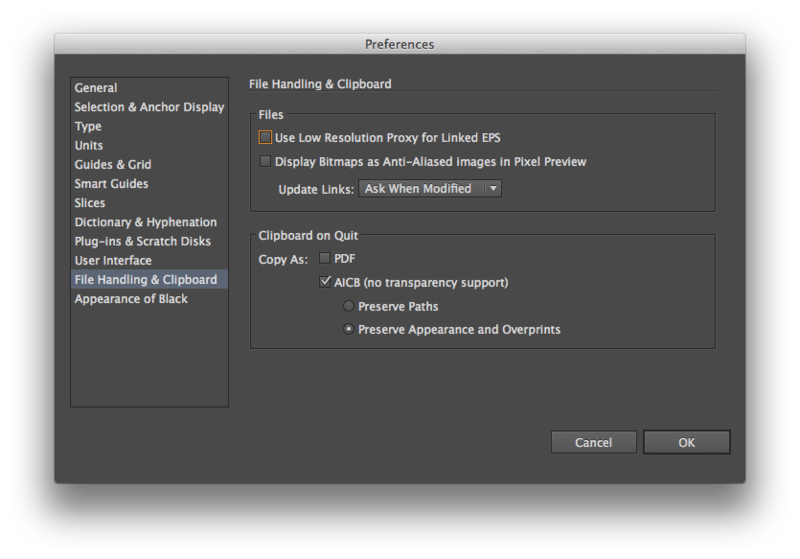 Note the extra strokeless/fill-less 20x20px box around the icons. 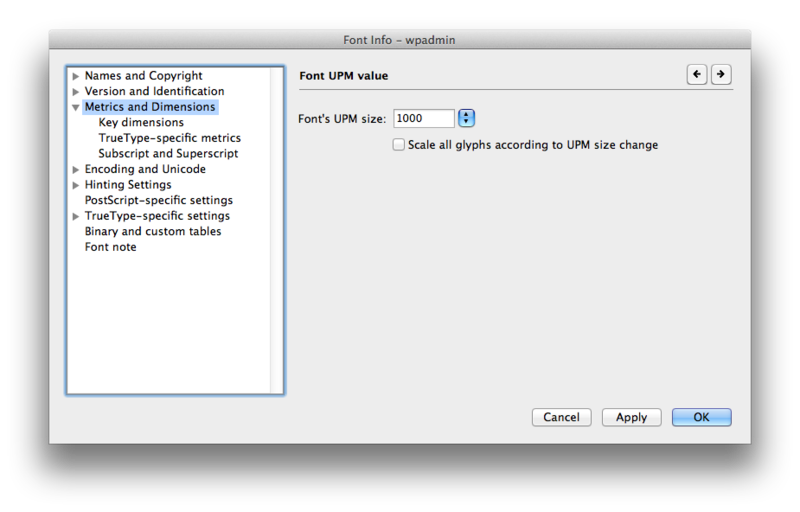 You need this to copy/paste into fontlab and not have them get scaled up. 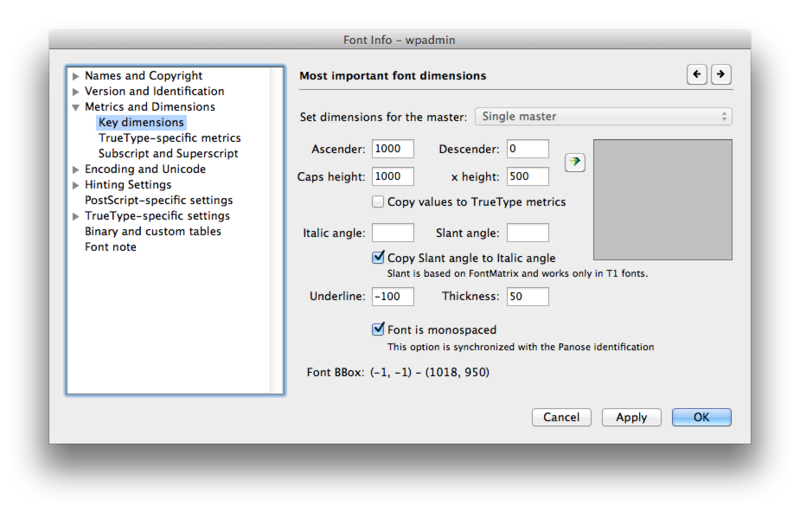 I copy/pasted each icon-the shape and the invisible bounding box- into a separate glyph in fontlab. I tried to make it intuitive; “a” is appearance, “d” for dashboard. “p” was problematic; posts, pages both have p.
After I generated the otf file, I used @font-face to embed it on a test page. I set a base size to 62.5% and set the icons to 2.0em; effectively rendering them at their native 20×20 pixels. The key thing is the -webkit-font-smoothing:antialiased property in the css. Without it, they look like garbage. They pretty much look like garbage anyway in firefox/opera, and I have no clue how to get them in IE. But in webkit it’s gold.